What will business automation mean for you? “Automation” is a term you’ve probably heard by now, possibly in relation to how it will affect the global workforce. Some estimates suggest that automation could affect the employment of 2-12% of the global workforce over the next 10 years. But other estimates predict that, in the US alone, automation will also create 8.9 million new jobs by 2025, and that 40% of enterprises will have automation centers in place. So while automation may affect the employment of people around the world, it also means opportunities to those who get in on the ground floor. 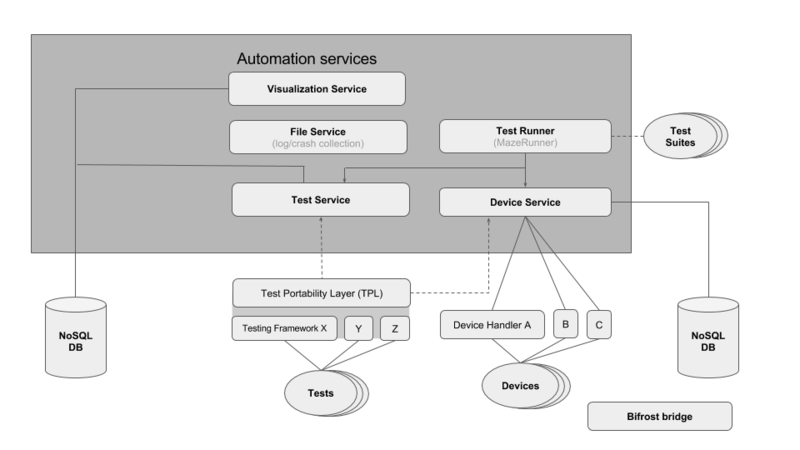 Netflix uses business automation for large-scale testing. Image courtesy The Netflix Tech Blog. The world’s most successful retailer uses automation to store 50% more inventory in less than 60 seconds. This type of efficiency scaled across a retailer as big as Amazon has contributed to 29% revenue growth YoY. But automation isn’t limited to the use of robots on the shop floor. For example, entertainment leader Netflix uses business automation extensively for testing purposes to ensure compatibility and portability across multiple devices. Automation is, itself, simply the process of operating a process through automatic, rather than manual, means. Business automation isn’t just the domain of giants Amazon and Netflix. 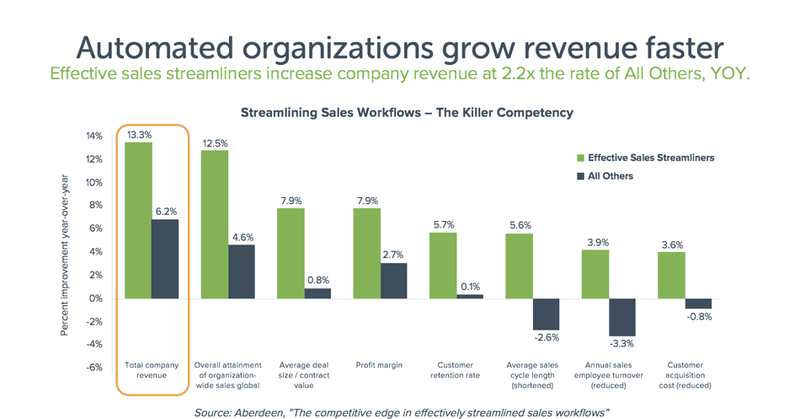 Research suggests that all companies using business automation see more than double revenue growth, significantly higher overall profits, and average deal sizes that approach 9x those of companies that don’t use automation. Companies using business automation grow revenue 220% faster. Image courtesy Aberdeen. How does automation grow revenue, profits, and deal size? Business users worldwide are using automation to speed up formerly time-consuming processes and close operations gaps that traditionally involve hours of manual spreadsheet work (and frustrating manual error). Specifically, automation combined with API-level integrations helps professionals in marketing, sales, support, finance, HR, and IT connect all their most important business applications to freely flow and sync data. For marketers, this includes managing inbound leads, events, follow-up, and “Smarketing” - the alignment of marketing with sales. Marketers at FICO uses automation to increase campaign click-through rates 9% and engagement more than 20%. Business automation also gives sales professionals the ability to more-efficiently and more-quickly manage valuable sales opportunities to follow-up faster on inquiries and even speed up the important quote-to-cash process to more-quickly convert closed-won deals in to revenue. Sales professionals at Udemy use automation to save 20 hours of manual work and thousands of dollars per month. Business automation even accelerates customer support operations for important processes such as post-sales contract approvals, onboarding, and support segmentation to ensure helpdesk tickets from the highest-value customers are always first in the queue. Companies like Vox Media use automation to speed up new customer onboarding 20x. Learn how your company can get more done, faster and grow revenue this year by joining a weekly group demo to see exactly how business professionals use automation every day.